Provide comfort for the family of Agnes Byrne with a meaningful gesture of sympathy. 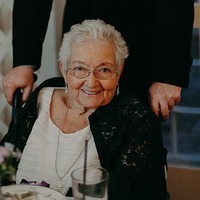 Agnes Loretta Byrne of Poughquag, New York died on March 15, 2019 at the age of 85. 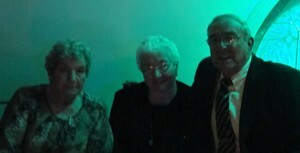 Agnes was born in 1933 in Bagenalstown, County Carlow, Ireland the youngest of 12 children of Mary and John Casey. Prior to moving to Poughquag, she was a long-time resident of Yorktown Heights, New York and worked as a beloved nurse at Northern Westchester Hospital for over 30 years. Agnes was predeceased by her husband Francis J Byrne Jr to whom she was married for 35 years. She is survived by her five children: Francis J Byrne III (Mary Clark) of Frederick Maryland, Geraldine Byrne of Fishkill, NY, Eileen Olsen of Carmel, NY, Loretta Velardo of Fishkill, NY and John Patrick Byrne (Dorothy Bell) of Hopewell Junction, NY. In addition to her children she is survived by twelve grandchildren; and her siblings, Annie Doyle and Frank Casey. The Mass of Christian Burial will be offered on Wednesday at 10am at St. Denis Church, 602 Beekman Road, Hopewell Junction followed by interment in Gate of Heaven Cemetery. Arrangements are under the direction of the McHoul Funeral Home, Inc., 895 Route 82, Hopewell Junction. In lieu of flowers, memorial donations may be made to Maria Fareri Children’s Hospital. Please visit Agnes’ Book of Memories at www.mchoulfuneralhome.com. Consider providing a gift of comfort for the family of Agnes Byrne by sending flowers. To John and all of Agnes' family- I am sorry for the loss of your mom. I had the pleasure of knowing her through Beekman Seniors and always enjoyed hearing her stories and receiving her "advice"...💕 She was intensely proud of all her grandchildren and their accomplishments. I uploaded one of my favorite photos of Agnes at one of our St. Patrick's Day parties a few years ago. My sincerest condolences to your family.